Akron is the fifth largest city in Ohio and has a population of about 197,800. County statistics suggest that number increases significantly to over 700,000 if taking the whole area into account. Aside from its rich history in the rubber and tire industry, the city is also the third largest producer of polymers. If you are considering a home purchase in Akron, or if you are soon moving there, you might want to do a little real estate research before you put your money on the table. You have made it to the right place because in this article we are going to look at how the real estate market is doing in Akron and what that means for your future investment there. As of the first quarter of 2019, Trulia reports the median home price to be about $87,000 which is well below the national average which is roughly $200,000. Akron is an affordable place to buy a home. Property taxes currently sit between $800-$1500 depending on what part of the city, the house is in. Just over 50% of people own a home in Akron which ticks up in small increments year after year. Commercial real estate is also seeing new investments with buildings in the downtown area looking for a redevelopment project and eager investors wanting to take advantage of the “hot” market. Even the Home Buying Institute says that Akron is one of the top 10 markets in the entire U.S. How do they know? Well, analysts take the market signals like declining home inventory, the number of homes that go into contract within two weeks of hitting the real estate market, and if a homes sell over their listing price. Why is Everyone Moving to Akron? Now that you see how sizzling the Akron real estate market is, how about learning a few things that make the city so unique. Here are some interesting facts that you may have never heard about this city, or will be happy to learn if you are moving there soon. Akron has been named a “Tree City” by the National Arbor Day Foundation almost 2-dozen times! Akronites have shown their love of green spaces with a commitment to urban forestry which has proven to create more aesthetic appeal and higher property values. Parks in Akron know how to “knock it out of the park.” For example, the Cuyahoga Valley National Park covers 50-square miles between Akron providing unique recreation options for Ohioans. Home to the Bridgestone Invitational National PGA Golf Championship which overruns the entire city with tourism and enthusiasts. Music and theatre have their rightful place in Akron with Music like Highland Square Porch Rokr Festival and the Ohio Shakespeare Festival. We know Akron is a hidden gem in the Midwest and if you are soon to call this place your home, we welcome you. 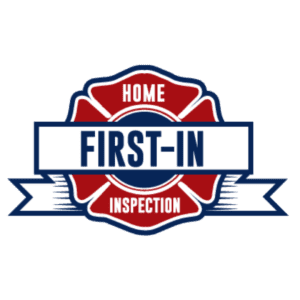 If you need home inspection services, First In Home Inspection would be thrilled to be your partner in that effort. You can call us during regular business hours or connect with us online.